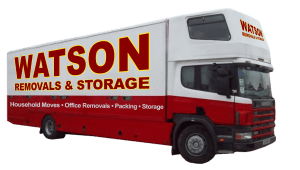 Here at Watson Removals Brighton, we pride ourselves on offering an efficient, friendly and competitively-priced removals service across the Brighton and Hove area. Whether you’re moving into your dream home or relocating your company’s offices to somewhere new, you can rely on us. As a family-run business, we’re small enough to care about your needs – but big enough to have the resources to get the job done. When it comes to packing, we know what you need to get everything from A to B in an efficient, safe and timely fashion. We are experienced in packing up homes both large and small. Our friendly removals team can come over to your home or office and effectively pack everything into designated boxes to save you the time and energy. With our strong levels of attention to detail, you can hire us safe in the knowledge that we will take great care with your belongings and provide you with a cost-effective service. Once you get to the other end, you’ll be busy sorting out important issues in your new home or office. That’s where we come in: once it’s arrived at your new place, we’ll unpack everything for you and make it feel like home right away. Not only that, we’ll ensure that all rubbish is removed from your new premises – so there won’t be any boxes lying around. We can arrange additional pre-tenancy or post-tenancy cleaning services in your new or old place if you need us to. When moving from one place to another, we understand that sometimes you need to sort and store your own belongings. If you’d prefer to be responsible for your own packing, we can help you out with our range of storage and packaging solutions. We always send a wide range of boxes to ensure that you have everything you need to pack all your belongings. Whether you need to pack up the crockery and cutlery in the kitchen or file away your documents ready for the big move, we’ll have a box for you. Security is a top concern for anyone moving to a new location, particularly if you’re transporting fragile, expensive or irreplaceable items such as family heirlooms, computer equipment or important documents. That’s why the boxes we offer are full of features designed to keep your items safe from breakage or loss. Are you looking for a packing service in Brighton? 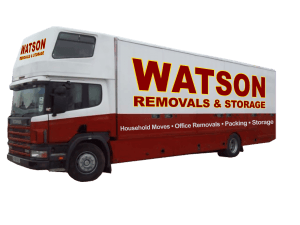 Call family-run Brighton & Hove removals team Watson Removals today on 01273 257230 and speak to one of our friendly team to find out more about how we can help. We won’t be beaten on service, value or high quality.